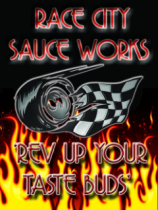 Chad Lowcock of Race City Sauce Works talks with Randy and I about his company and his all natural, gluten free sauces. He also shares what other companies’ sauces he likes to eat. And since Race City Sauce Works is based in Charlotte NC, Chad tells of how he’d like to get a NASCAR driver to sponsor his company! Recipe of the Week: Sriracha Garlic Chicken Wings!